Retaliers and Wholesalers: Protect the future of your business and at the same time make money. The FDA is not going to stop with Ephedra and has already banned other effective supplements and is intent upon banning every supplement on the market. Fight now or you will be out of business in a few years because there will not be any products left to sell! 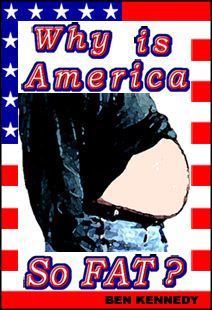 The best way to fight is by agressively selling Why is America So FAT? to your customers so that they will understand what has happened with Ephedra and be angry enough to complain to their elected representatives. To be able to purchase Wholesale you will need to send us an Email with the name of your business and your address and contact information. You will also need to fax a copy of your business license or tax license for verification to 212-658-9829. Once we receive this information we will email you an account name and password that will enable you to purchase online. Additional discounts available for large quantities so just ask!